To understand the earth system including their subsystems like oceans, atmosphere, biosphere etc. and to preserve the planet as the human habitat is one of the grand challenges the mankind meets in our century. Particularly climate changes caused by antropogenic activities are in the focus of earth system sciences. For the last decades the amount of data has increased enormously in this field. On the one hand, due to rapid rise in computing power scientists are now able to use models with higher resolution and perform long term simulations. On the other hand, monitoring the earth with satellites results in a second huge data stream for earth system science. 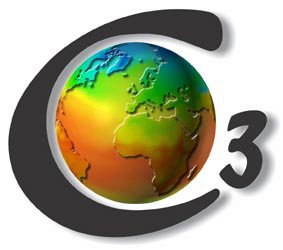 C3-Grid proposes to link distributed data archives in several german institutions for earth system sciences. With the help of grid technologies an infrastructure for the scientists in climate research will be built up which provides tools for effective data discovery, data transfer and processing. In Prof. Langs' role of the computing centre director we participate in this C3-Grid project, a community project of the D-Grid Initiative which is funded by BMBF, the german Federal Ministry of Education and Research.